2017 proved to be a year of expansion for SAR, with many top world cup teams requesting to use the ultra-lightweight and accurate component. SAR enjoyed multiple podiums at every World Cup in 2017 in both the men’s and the women’s events. Teams such as Commencal/Vallnord, Norco Factory Racing, Kona Factory Racing, UR/Polygon, Propain Dirt Zelvy, Canyon Factory Racing, Giant Factory-Off Road, Team La Pierre, as well as many individual racers, namely Jérôme Clementz, and Brian Lopes to name a few. As the 2018 season approaches SAR will continue its support of most of all of the afore mentioned teams as well as some new and exciting additions being the newly formed Unior/Devinci DH and Enduro Teams. 2017 saw SAR join forces with Eibach to produce the new generation of springs using new production techniques to help create the most ground breaking, innovative and exciting springs yet. After months of designing, our mutual goal at Super Alloy Racing and Eibach was achieved. This resulted in springs are that are more linear, capable of greater deflection, block resistant, and have a refined coiling technique in manufacture making this new range of springs a step closer to perfection. With over 65 years of experience manufacturing industry leading automotive and industrial springs, Eibach have used the same design techniques and high tensile materials more commonly found on their high-end motorsport applications such as Formula 1 – the coating in particular being only 10 microns thick for maximum weight saving and travel gains. With the finest steel developed by German mills specifically for them, Eibach can produce the most consistent springs in the world. All our new Eibach manufactured Super Alloy Racing Enduro springs can be fully compressed and still return to their original free length, meaning riders and mechanics do not need to worry about over stressing and permanently damaging the springs. 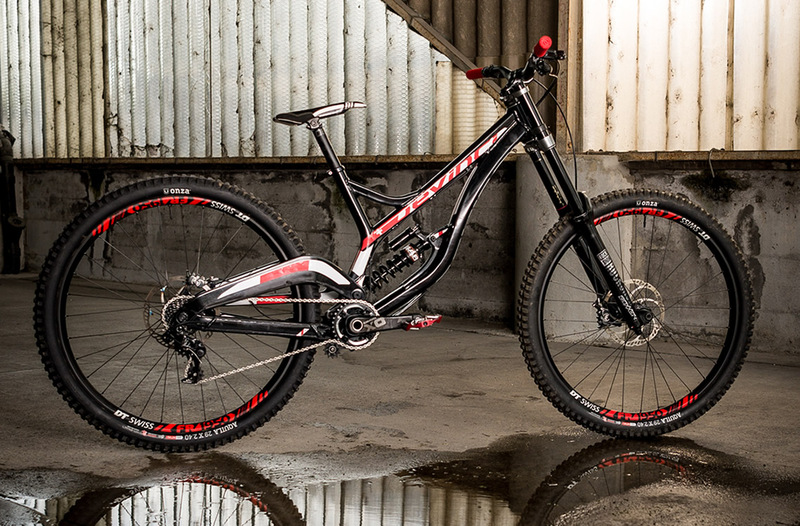 The new Generation 3 SAR DH springs are lighter, better and will enable you to ride faster than before.